No one had to ask, "Where's the beef?" in Fort Worth the night of March 22. 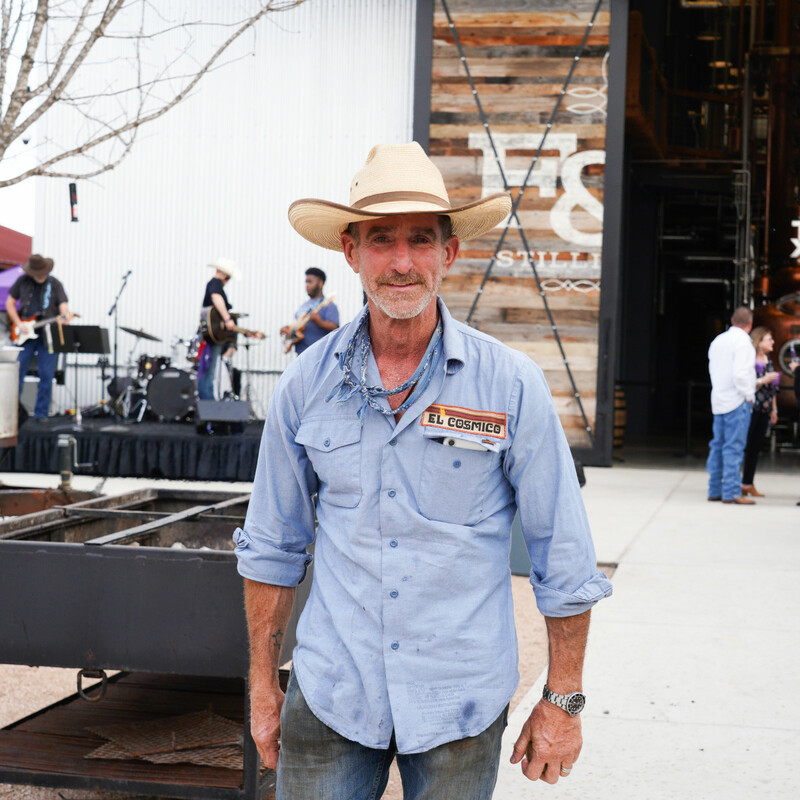 The beef, the chicken, the pork — all the meats came to play in Cowtown at Ablaze, a chef-driven steer roast and dinner held at Firestone & Robertson Distilling Co.’s Whiskey Ranch. 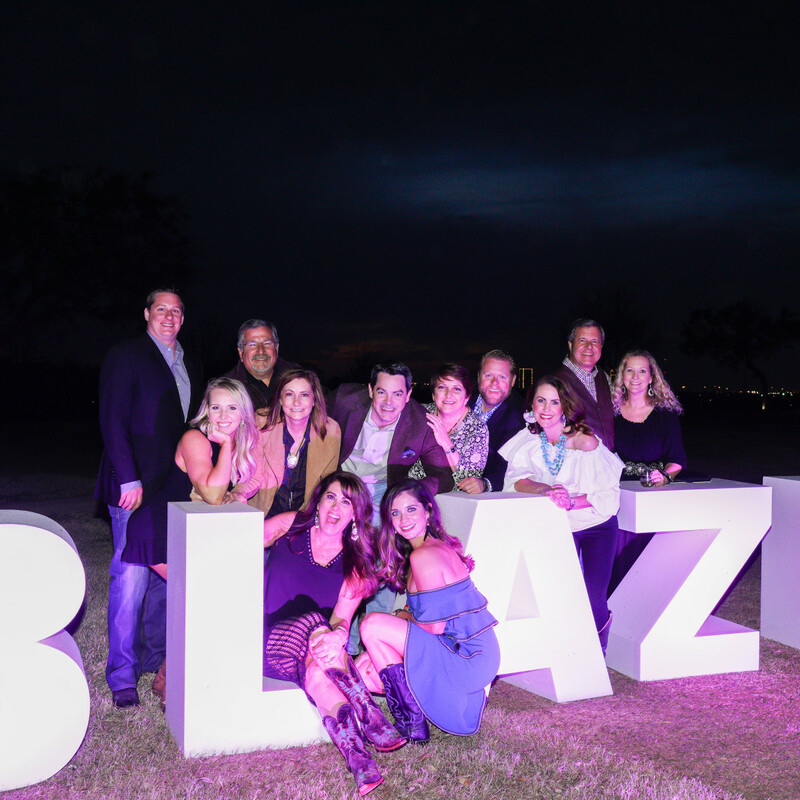 Subtitled "Igniting Passion for a Cure," the second annual Ablaze raised funds for the Alzheimer’s Association North Central Texas Chapter, in support of its vital mission to fight and cure the disease. 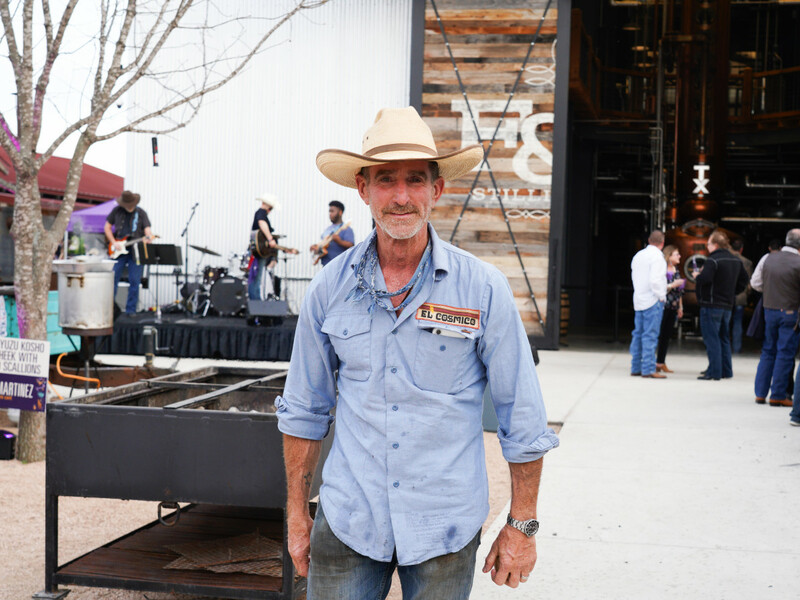 When 270 guests arrived at the distillery's sprawling campus for the sold-out event, they followed the sweet smell of barbecue to the courtyard. 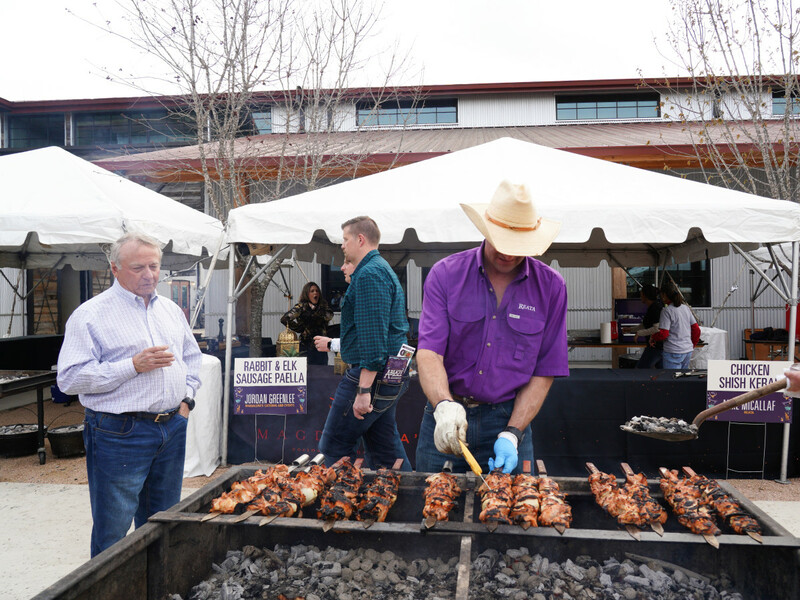 Acclaimed chef Lou Lambert had presided over a steer roast for 24 hours, and his chef-friends were manning smokers for their own meaty (and some non-meaty) contributions. 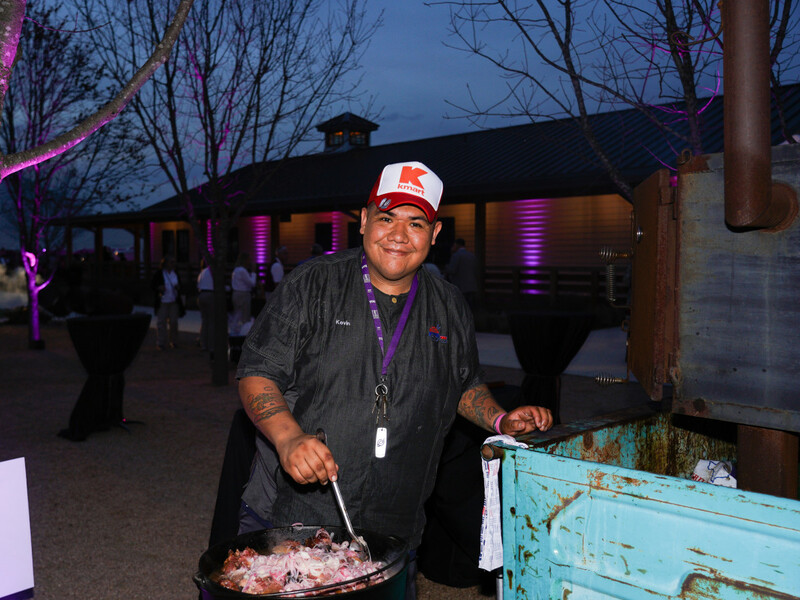 They included: Mike Micallef of Reata, Stefon Rishel of the forthcoming Wishbone & Flynt, Kevin Martinez of Tokyo Cafe, David Hollister of Gas Monkey Bar and Grill, Jordan Greenlee of Magdalena's, Terry Chandler of Fred's Texas Cafe, and Todd and Natalie Brown of Lettuce Cook. 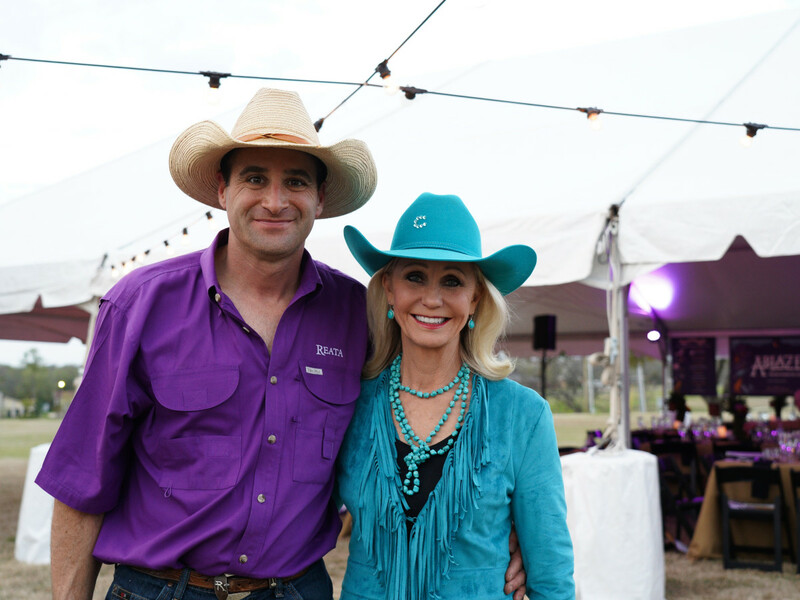 Dressed in Western chic finery, attendees — including Matt and Katie Foust, Tara and Robert Warren, BJ and Amber Caldwell, Tim and Bekah Trout, Ashley Frizzel, Crystal Vastine, Adam and Tracie Palmer, Pat and Elizabeth Peters, George Bond, Barbara Chokas, Ryan and Leslie Moore, Mike and Terri Jutras, Athena Wiginton, and Tina Bond — sampled bites and sipped fine wines, craft beer, and of course, TX Whiskey. 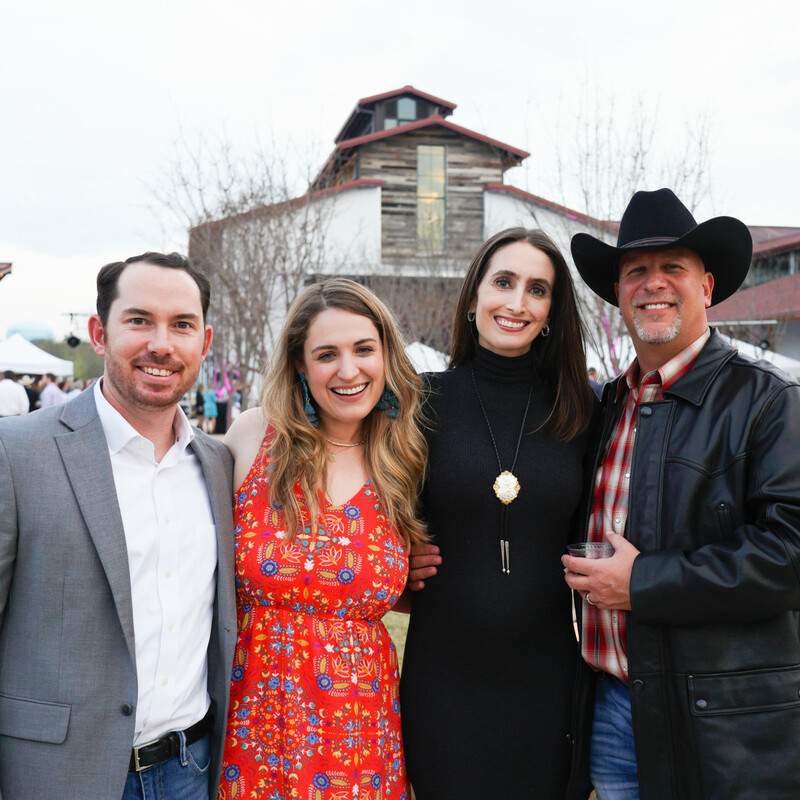 They had an early chance to take home bottles of wine from a bottle pull, too. 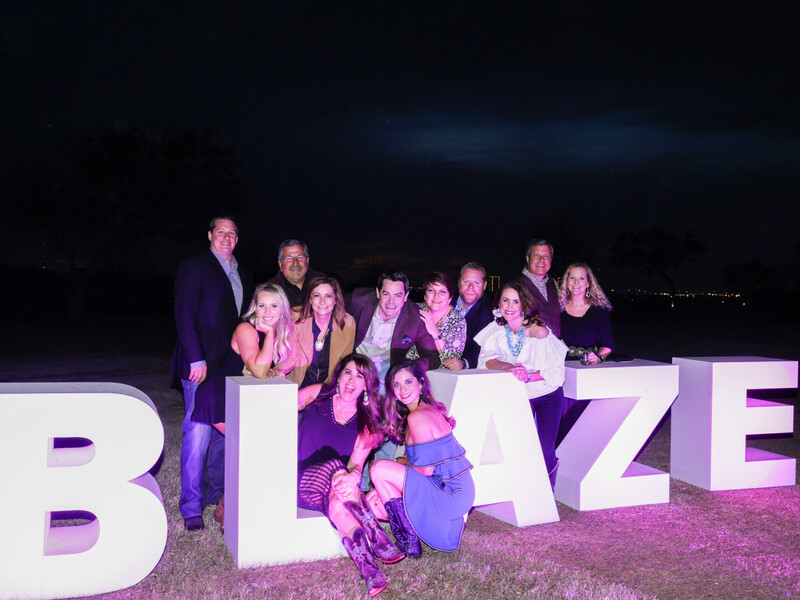 The picture-perfect spring night was lovely for taking photos of the downtown skyline behind a striking, illuminated purple "ABLAZE" sign perched in the foreground. 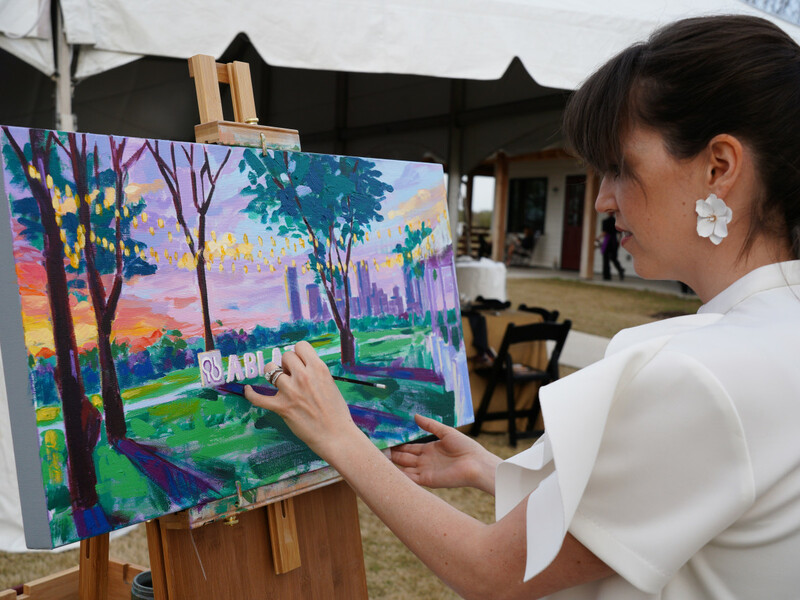 So lovely was the scene that local artist Julia McNally put her brush to canvas for a live-event painting that would later be sold in the auction for $1,500. 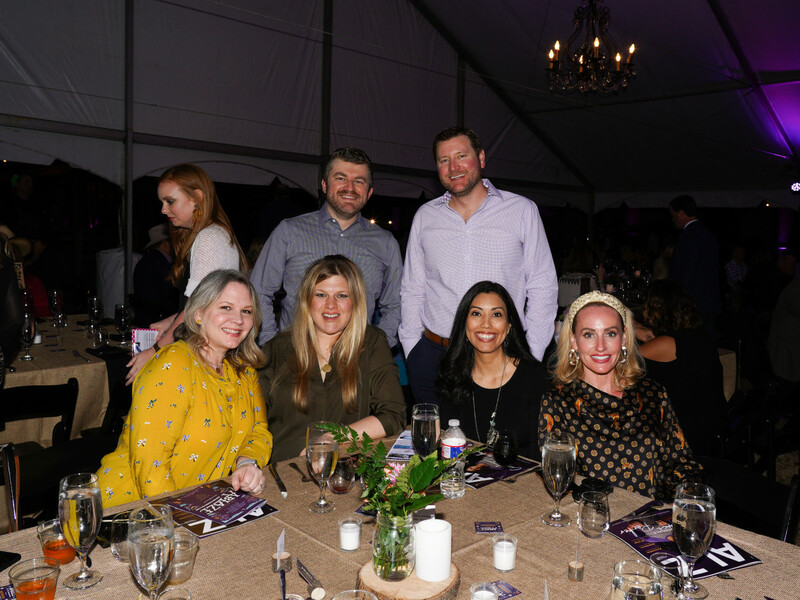 When the dinner triangle rang, guests made their way to tables under a tent outfitted with elegant chandeliers and bathed in purple uplighting. Servers begin filling glasses with wines expertly chosen by Central Market wine manager J.R. Clark, the event's founder. A 2011 Château Valentin Larmande Cuvée la Rosé Saint-Émilion (translation: a red wine from France) was especially magnifique. 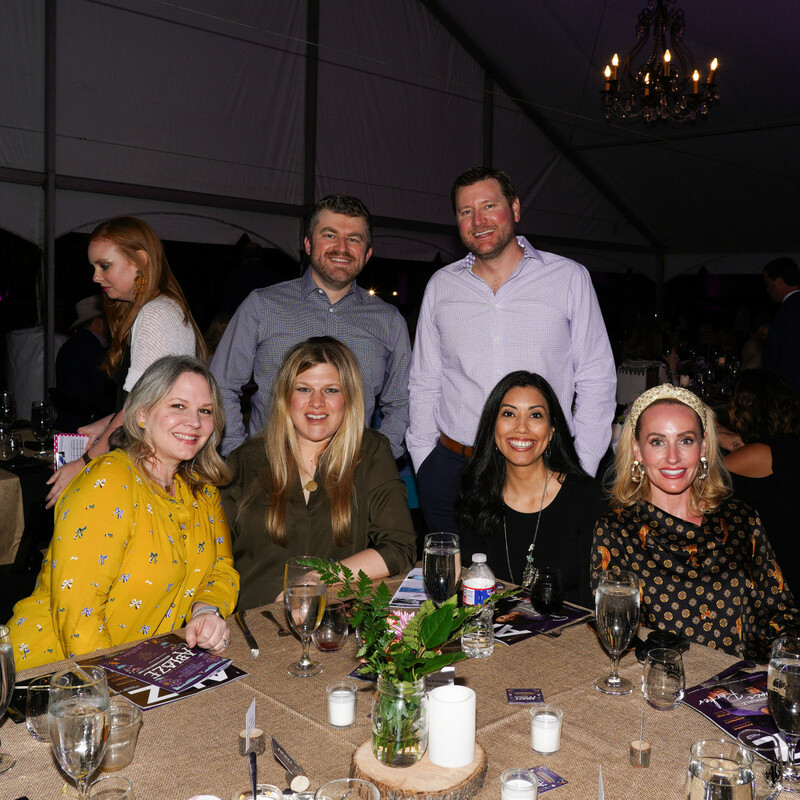 While diners waited for their tables to be dismissed for the buffet, they passed around baskets of buttery biscuits with honey butter and pimento cheese, courtesy of Sarah Hooton and Matt Mobley of Hot Box Biscuit Club. Name a meat, and it appeared on the buffet. Lambert's smoked steer mingled on plates beside garlic sausage, beef cheek, pork cheek, chicken shish kebabs, smoked lamb, a smoky "Fort Worthified" paella, and — for good measure, grilled vegetables and smoked gouda and pecan pesto grits. 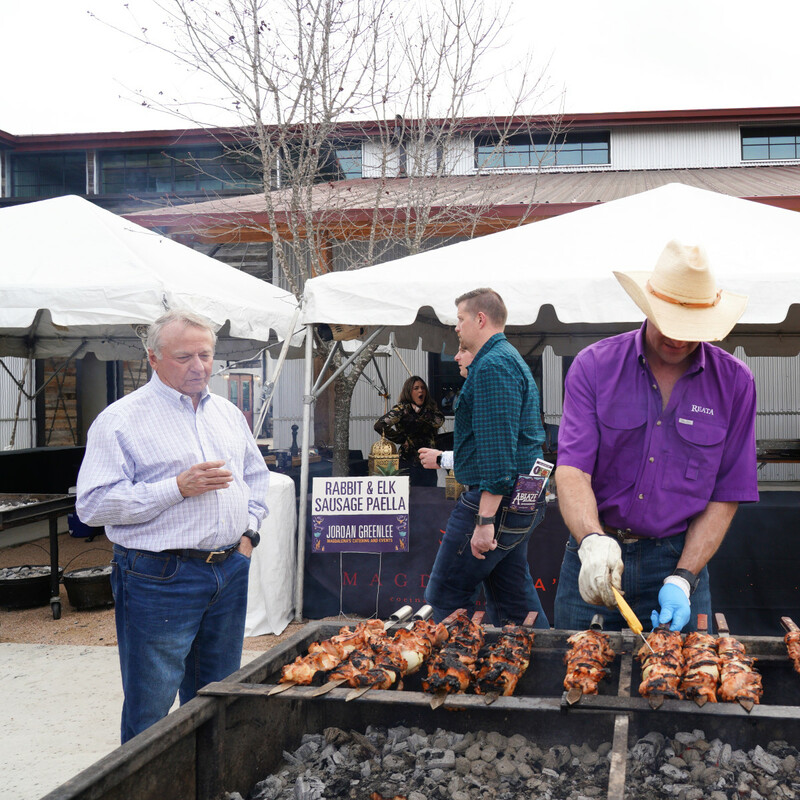 But the gut-busting meal was just one reason for the event — and not even the most important one. 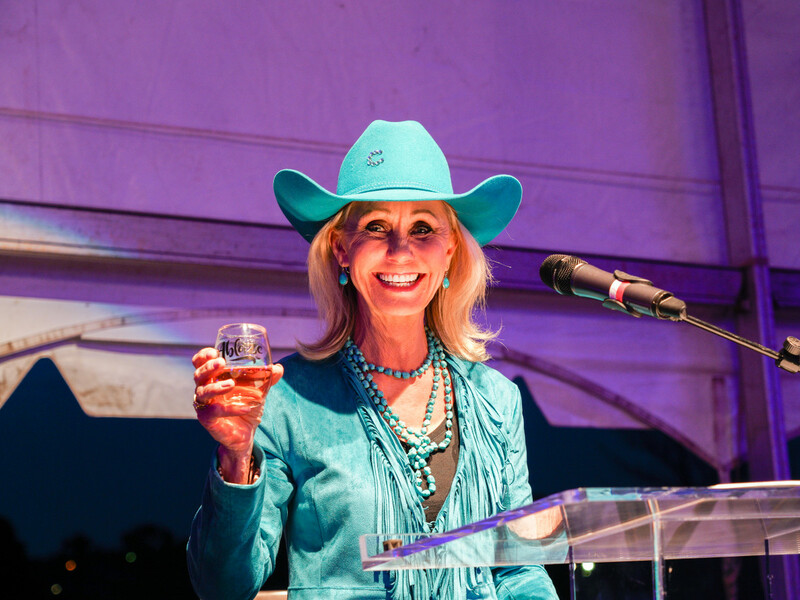 Emcee and well-known cowgirl Pam Minick eloquently conveyed the night's mission from the podium, saying, "They say life's most meaningful moments happen around a dinner table. 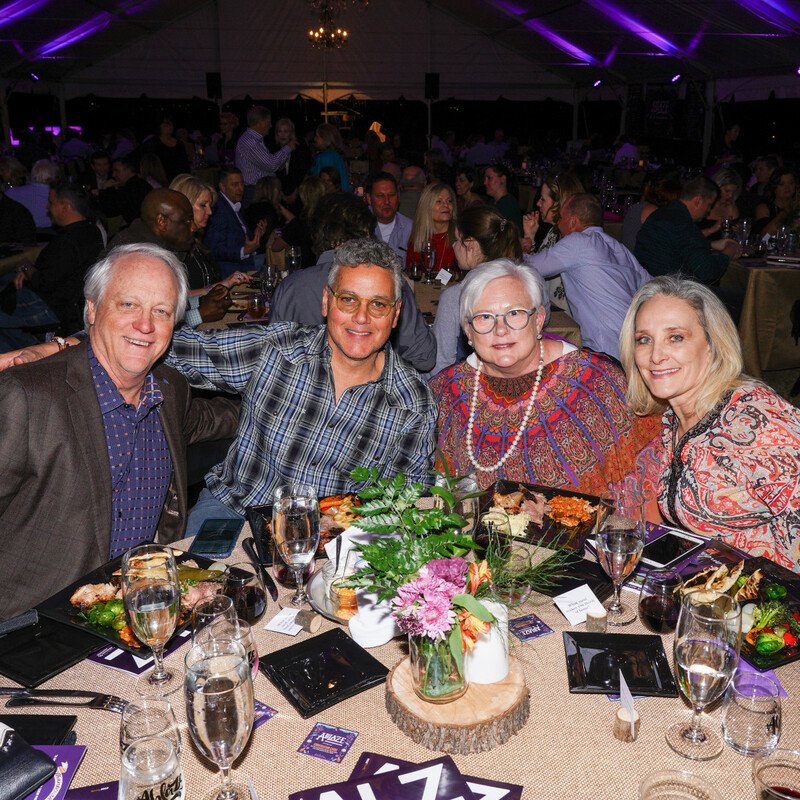 So tonight we've gathered around the table with our friends, our family, and our business associates because there is a passion sparked in all of us ... our passion to end Alzheimer's disease is ablaze." 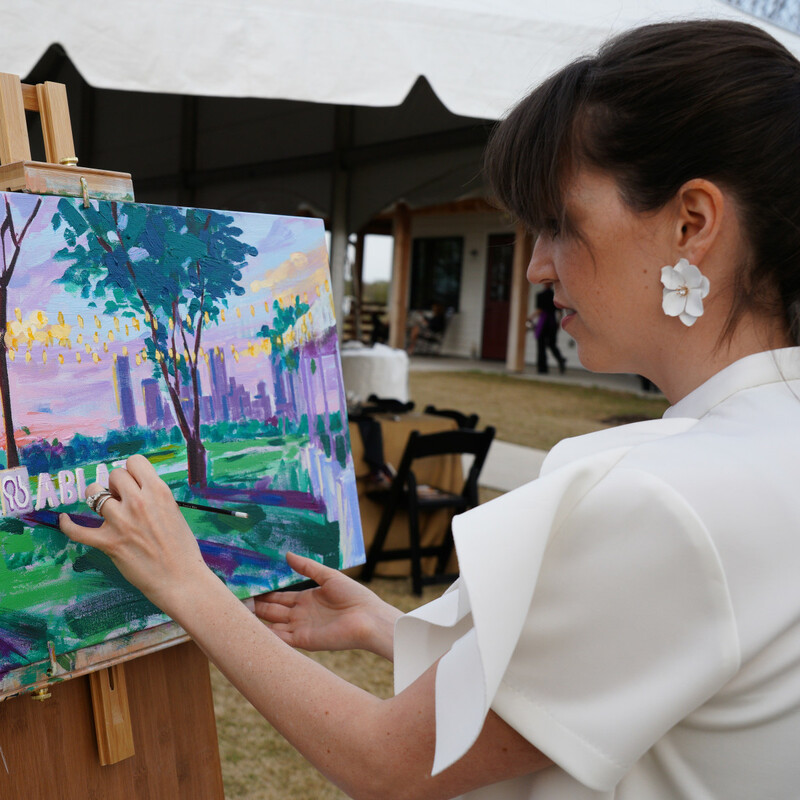 She recited some startling statistics about the disease, most notably that every 65 seconds, someone in the United States develops Alzheimer's. After dinner, it was time to raise paddles. Matt Blevins took the mic to auction several fun, fabulous, and truly unique items. 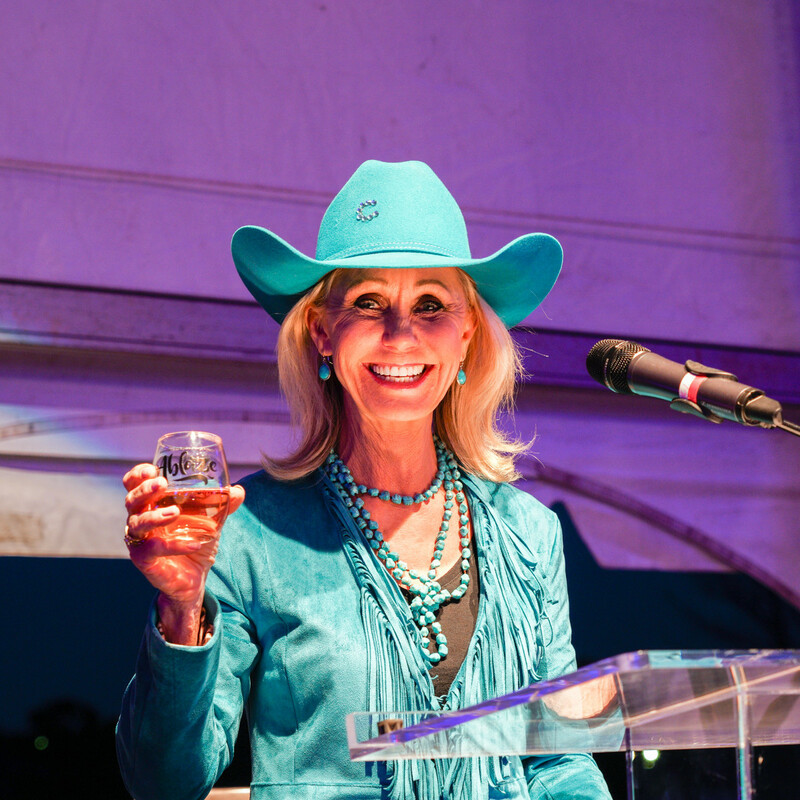 In keeping with the night's Cowtown-fabulous theme, a Texas-bred longhorn steer was auctioned for $2,000. 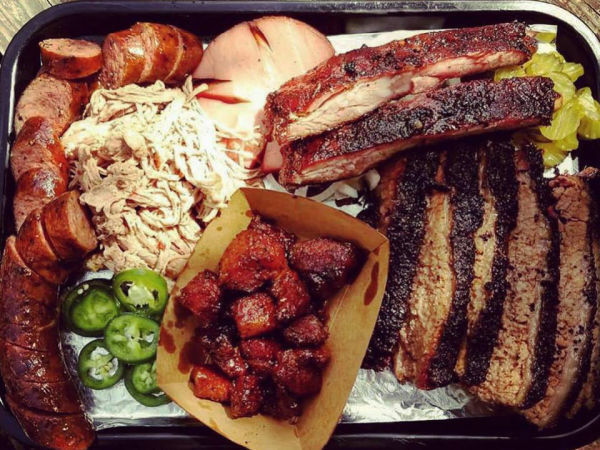 A cowhide rug went for $550, and a side of beef sold for $2,250. A surprise final item, prime tickets to a Pat Green concert, grabbed over $2,000, as well. 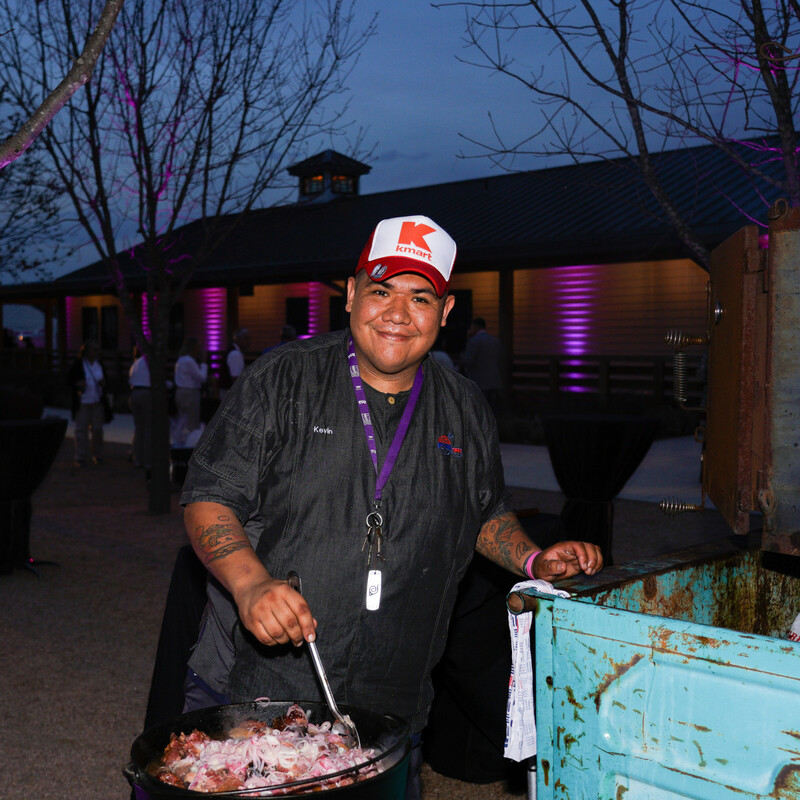 In one of the night's most memorable unscripted moments, Rishel — known as the flamboyant, mohawk-sporting chef who's helmed kitchens at Max's Wine Dive and Texas Bleu Steakhouse — made an emotional appeal to bidders for a dinner he was offering at his forthcoming restaurant. He personally has been impacted by Alzheimer's, having watched grandparents suffer from the disease, he said. 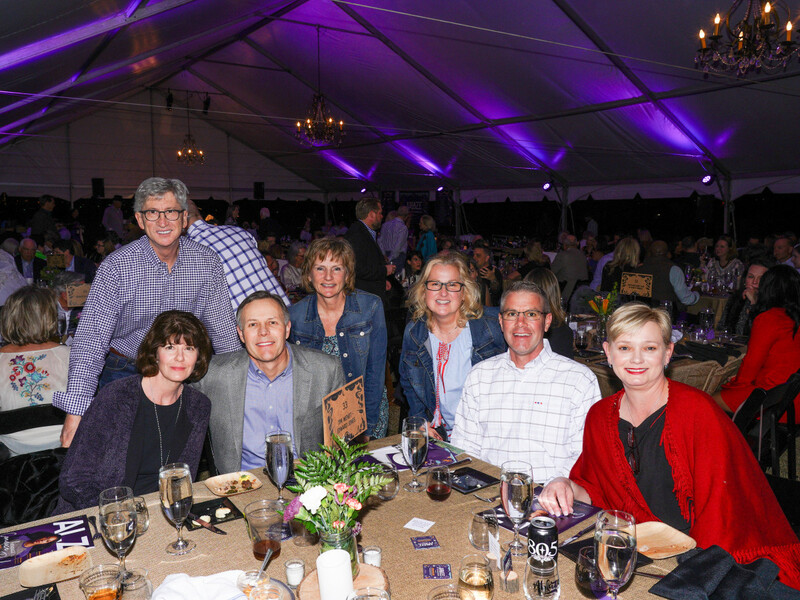 "I've watched this disease take people over, and it doesn't just affect people that it takes over, but the extended family that it affects is unbelievable," he said. "This is what we fight for every day. 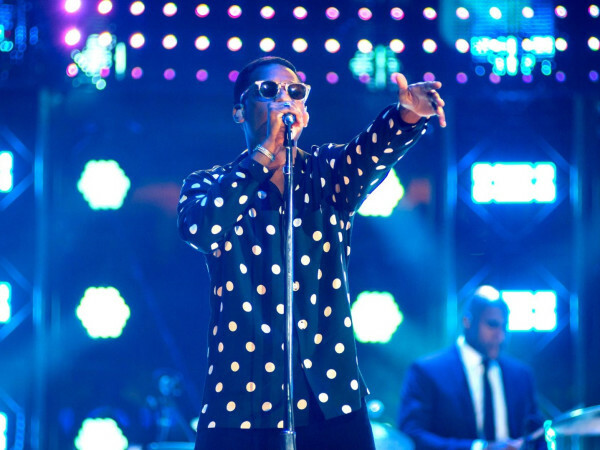 This is what I fight for every day, so this is a big deal for me." 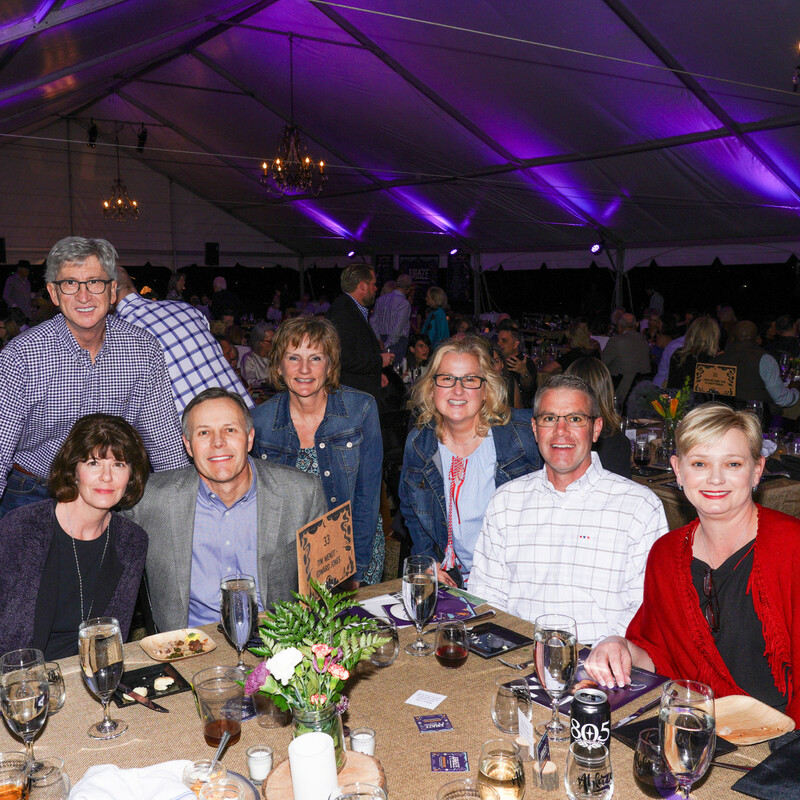 Thanks to fierce bidding, one dinner became two, and then three, and each sold for $5,000. 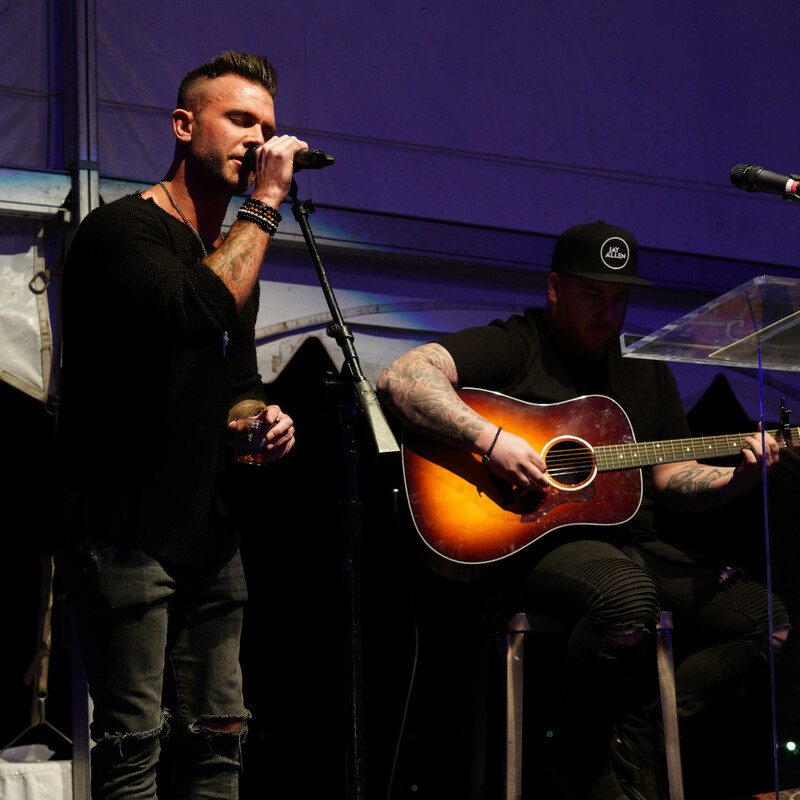 The emotional high point of the night came when special guest Jay Allen, a Nashville singer-songwriter, took the stage. 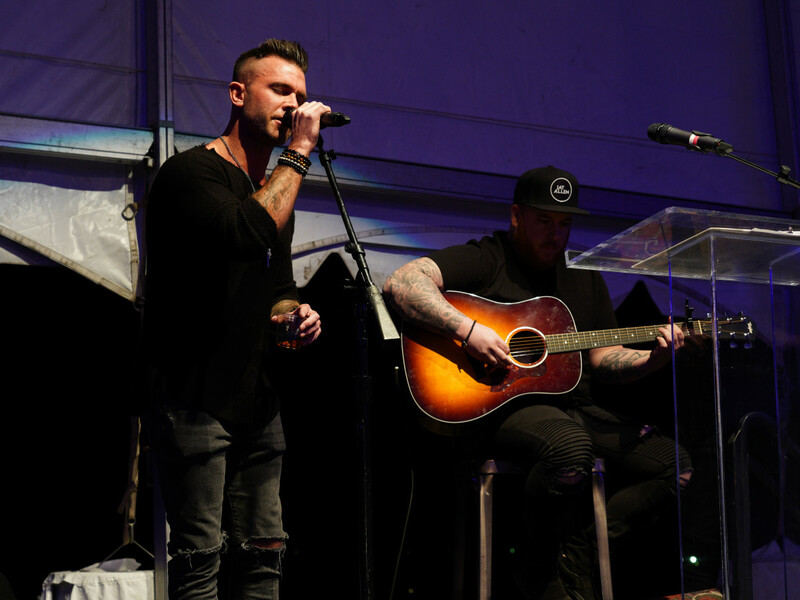 Allen's song "Blank Stares" went viral last year, garnering over 125 million views on Facebook. 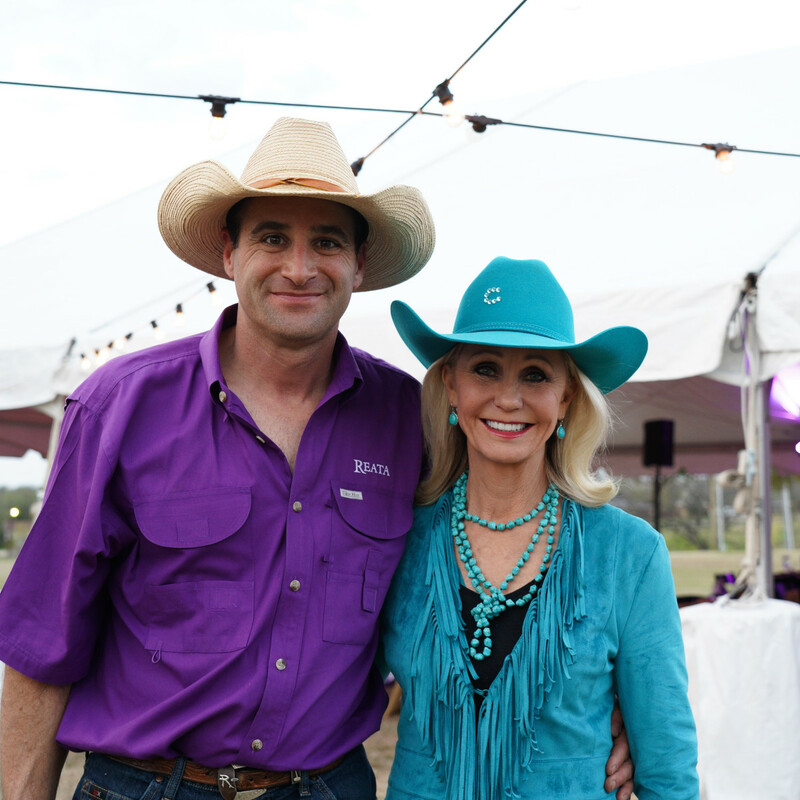 He wrote it for and about his mother, who suffered from early-onset Alzheimer's, and the Fort Worth fundraiser was the first time he'd performed it in public since she'd passed away, he announced. 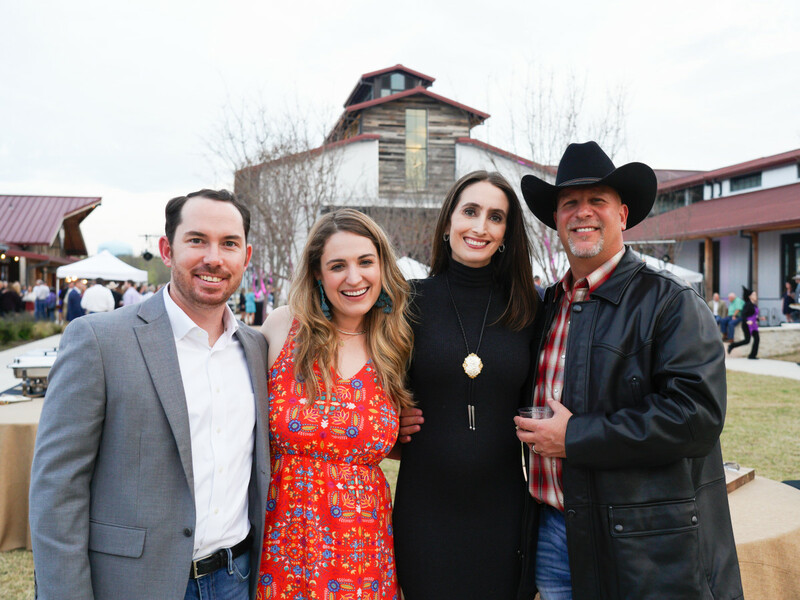 Patrons had one more chance to give from their hearts before dancing to the sounds of The Redwine Band, grabbing their souvenir wine glass from the table, and walking to the valet stand under the stars. 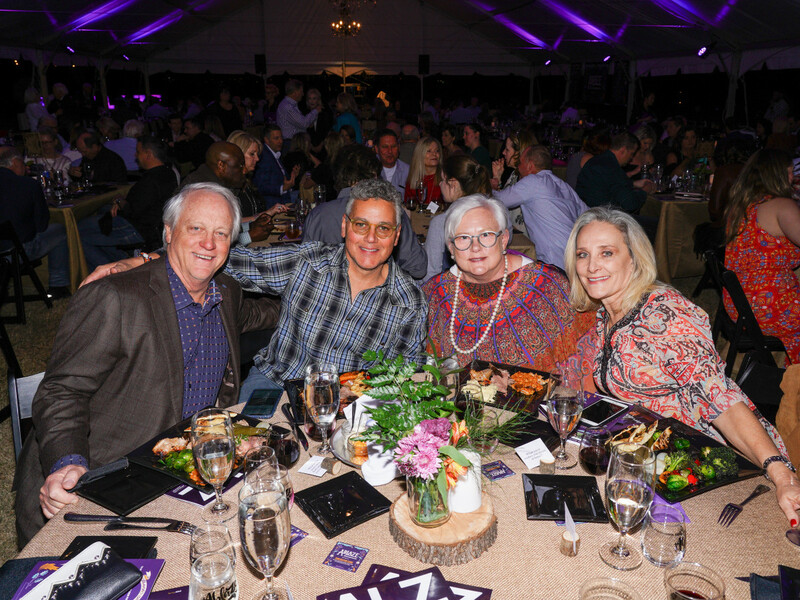 In total, the night raised $285,000 for the Alzheimer’s Association, which is the leading voluntary health organization in care, support, and research of the devastating disease.